Austin Digital you can qualify for your free web design today! We’ve all visited websites that are dull and ineffective. Web design like this isn’t just bad, it’s bad for business. Having a poorly designed website can keep you from connecting with your target audience. It can also make your business appear incompetent and unimaginative. 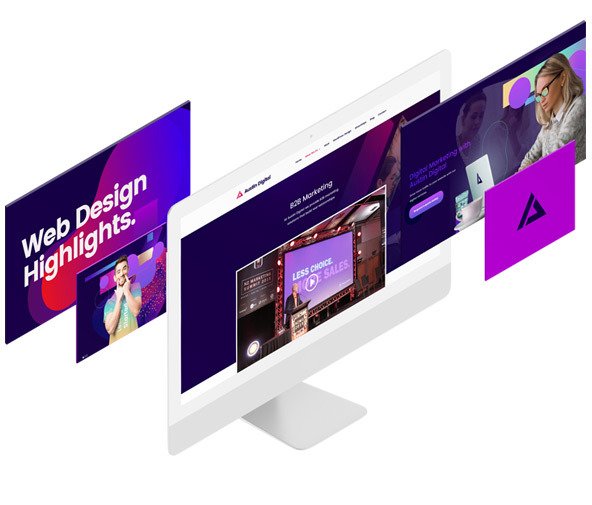 We pride ourselves in the quality of our website design and offer a free home page web design mock up service so that you can have confidence in what we’ll deliver before you commission us to build your new website. Our designs follow the latest web trends and standards and we also take care of the user experience and web usability standards. Because websites never sleep. Many people surf the web in the evening when most businesses are closed — which is fine because websites never sleep! A website will allow your business or organization to be open 24 hours a day, 7 days a week, 365 days a year. Having a website is the equivalent of having an employee working around the clock — even weekends and holidays! Get your free web design. Bay of Plenty, mock-up today. Your top competitor has a website. If you are in direct competition with another business that has a website, they have a clear advantage — especially if they are adequately marketing their website. A website is a great way to level the playing field. Get your free web design. Bay of Plenty, mock-up today. “Just Google It”. More than ever before, people are turning away from traditional means of finding information and looking online. Your business should be at their fingertips. Get your free web design. Bay of Plenty, mock-up today. Websites improve customer confidence & corporate image. With a professional website, you will improve you overall impression to the public and, in turn, your customers will develop a greater sense of confidence in your organization. Get your free web design Bay of Plenty, mock-up today. Small businesses have higher revenue. According to the Small Business Administration, small businesses that have websites are averaging $1.07 million more per year in sales than small businesses not online. That equates to 39% higher revenue. Get your free web design. Bay of Plenty, mock-up today. Check out some of our before and after home page web designs below.